Together with Drs. 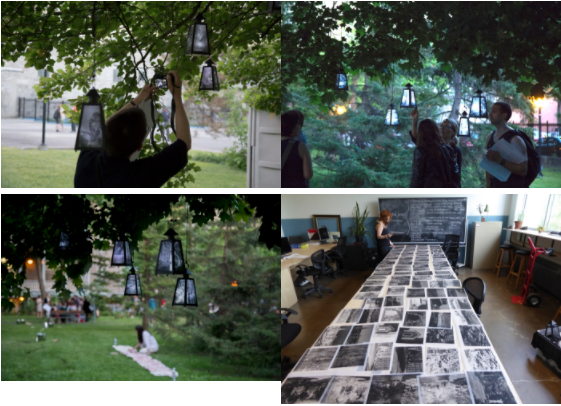 Cynthia Hammond and Shauna Janssen, and with a graduate Research Assistant, Didur helped to consult and conceptualize the event in order to explore the archive associated with working gardens of the Grey Nuns. “Layers of Landscape” was a collaborative research creation piece between Didur and Alexander. 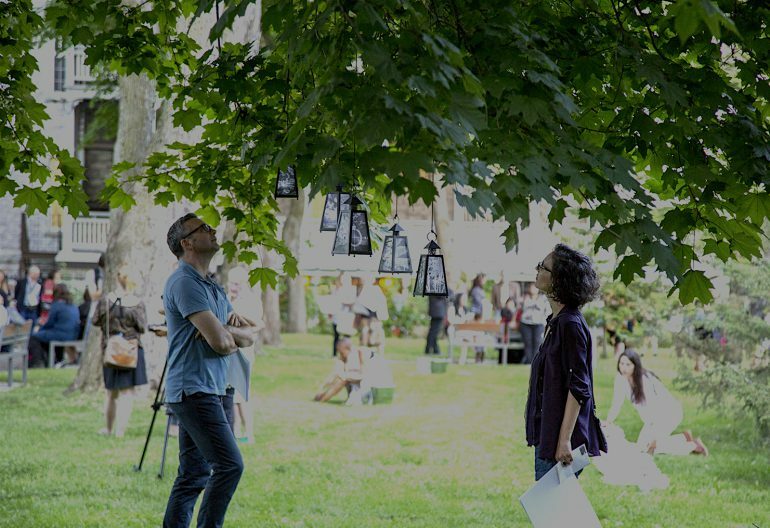 The installation was comprised of twenty-five lanterns installed in the garden that hosted a different assemblage of images including photographs and documents associated with the archive, and a selection of images of the indigenous precolonial plant life from the Codex Canadensis, a manuscript by Louis Nicolas, a Jesuit missionary who lived in New France from 1664 to 1667 and visited Ville Marie/Hochelaga. Installed in the garden for the event on June 3, the project offered visitors an invitation to engage with the history of the Grey Nuns’ labour in the garden as a feminist avowal of women’s work, while at the same time acknowledging visually that this history is part of the colonial and colonizing history of the area.